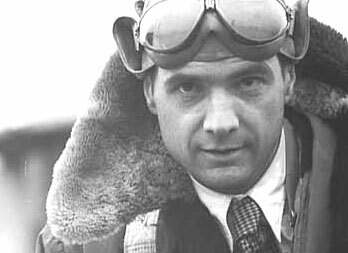 A lot has been written and said about Howard Hughes. I dont need to go into details of his early beginnings, his fabulous wealth,his legendary stable of beautiful women and his eventual disgraceful death. Everybody knows Howard Hughes was an eccentric billionaire who died like a pauper- emaciated, unkempt and disoriented. But to me, Howard Hughes will always be that good-looking, tall, lanky man with a quiet unassuming manner and a killer smile. He was painfully shy and he had this morbid fear of dying young like his parents did.He also was, at a young age, going deaf.It was genetic and he was embarassed by it,tried to cover the fact that his hearing was disintegrating. Before he became a certified weirdo (afflicted with Obssessive Compulsive Disorder or OCD ), he was a celebrated director, businessman, inventor ,innovator and aviator. Many of the features we see in modern aircraft came from the drawing board of Hughes's mind. He was ,in a way, what we can call -The Father of Modern Commercial Air Travel. and eventually he must go down to earth to join us mortals. He is still and always will be the delectable Mr.Hughes to me!